Pumping iron is great, but to get the most out of training, sometimes you need to mix it up! Burn a little rubber (and a lot of fat!) with this Resistance Band workout. All you need is one super-portable, super-affordable band to fit in a head-to-toe sculpting session anytime, anywhere. Do one set of the prescribed number of reps for each exercise with little to no rest between each move. After you finish the entire circuit, rest 1-2 minutes, and then repeat the whole thing two more times (three circuits total). Training tip: Resistance bands vary in size, shape, and thickness. You may need to modify or change the way you use your band, depending on the type that you have at home. Don’t have one at home? Click here to see a few bands we love. How to do it: Stand with one foot on middle of band. Grasp the ends of band and wrap around your hands at chest level, keeping elbows bent. Place the other leg behind with your knee slightly bent. Keep your trunk straight and bend the front knee, lowering your body downward. Slowly return to upright position and repeat. Training tip: Brace your abs in tighter as you lower into the lunge to help maintain your balance. How to do it: Stand on both legs. Hold the band in both hands with a Grip Wrap, elbows straight. Place the Resistance Band under your feet. Bend your knees to 90 degrees. Pull to add tension to Resistance Band. Straighten your knees. Slowly repeat. Training tip: Keep your abs drawn in tight during the entire exercise. 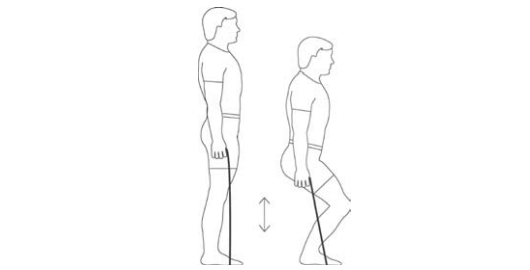 How to do it: Stand on the Resistance Band. Grasp the band in both hands with a Grip Wrap in front of hips, elbows straight. Lift upward toward chin, bending your elbows. Keep your hands close to chest. Slowly lower and repeat. Training tip: Keep your core tight and maintain a straight line through your spine as you reach and row. Your shoulders and torso can twist during the reach and row movement, but don’t let your shoulders round forward. How to do it: Hold both ends of the Resistance Band evenly and step on it with both feet. Curl your arms up, keeping your elbows in tight by your sides, palms facing up. Keep your trunk straight Slowly return to start position. That’s one rep. Do 10 reps.
Training tip: Engage your abs, press your shoulders down, and keep your upper body as still as possible during the curl. If you need more resistance, move your grip lower on the band. How to do it: Stand on the Resistance Band. 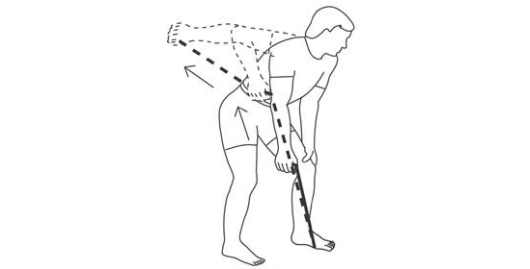 Grasp the band in both hands in front of hips, with your elbows straight. Lift upward towards your chin, bending the elbows. Keep your hands close to chest. Slowly lower and repeat. Training tip: Brace your abs in tight and maintain a straight line through your spine as you reach and row. Keep your shoulders down. 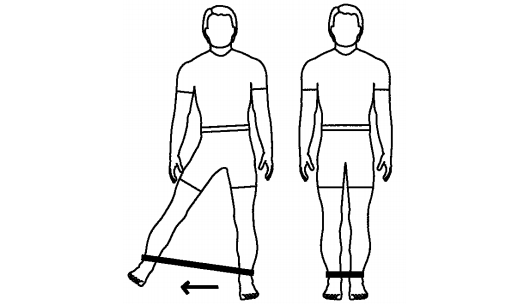 How to do it: Loop the Resistance Band around your ankles. Kick one leg outward and lower it slowly back. Training tip: Keep your toes pointed straight ahead and do not bend the trunk. How to do it: Hold the Resistance Band in the left hand. Place one end of the band under the right foot with a Foot Loop. 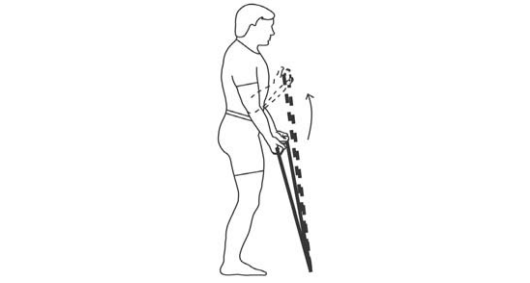 Slightly bend your hips and support your upper body with other arm as shown. 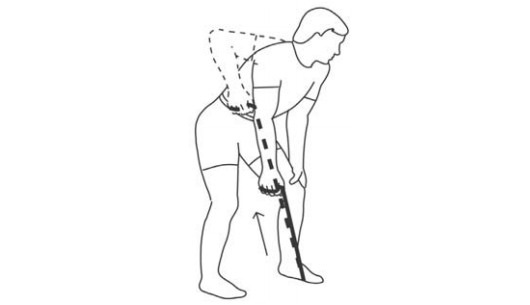 Pull up on the Resistance Band, raising your elbow back to shoulder height. Extend the elbow, raising your arm backward, contracting the triceps. Slowly return to start position and repeat for 10 reps. Then switch sides. Caution: Be very careful that the grip of the band is not lost. There is a possibility of eye injury as a result of the band snapping towards the face if the grip is lost or if the band breaks.